Who it’s for: Business owners and professional service providers who want some on-going accountability and support. 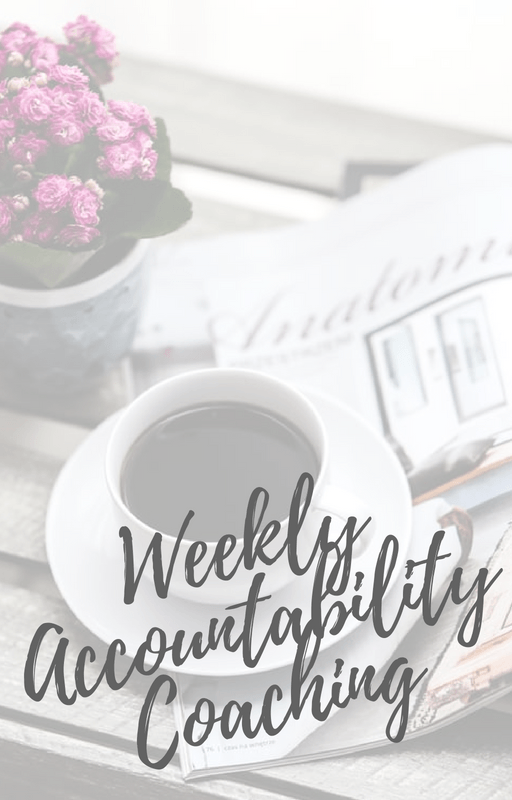 Weekly Accountability Coaching is ideal for those who feel stuck, lost their confidence or “mojo” or unsure about their next steps and is available in three month to one year increments. Book your complimentary strategy call now!